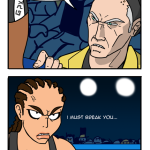 Those who haven’t see Million Dollar Baby won’t get it. 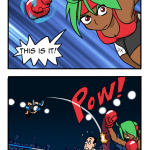 I guess I shouldn’t base the punchline on some random reference, but I couldn’t help it. Drawing her all beat up like that makes me sad.